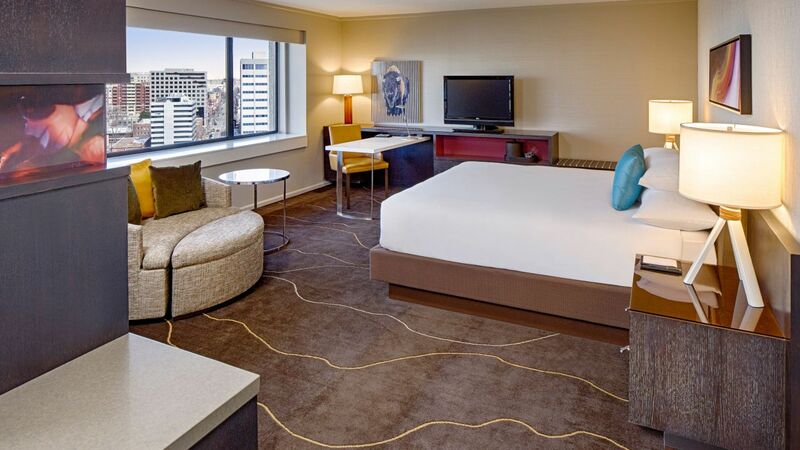 Stay in one of 516 rooms, including 27 suites, in Denver for the ultimate urban retreat. Each of our oversized accommodations overlooks downtown Denver and offers luxurious bath amenities and tech enhancements, including dimming light sensors on night stands and plush Hyatt Grand Beds™. Upgraded rooms and executive suites boast spacious living and work areas, with Grand Club access including daily breakfast each morning and hosted hors d’oeuvres in the evening. 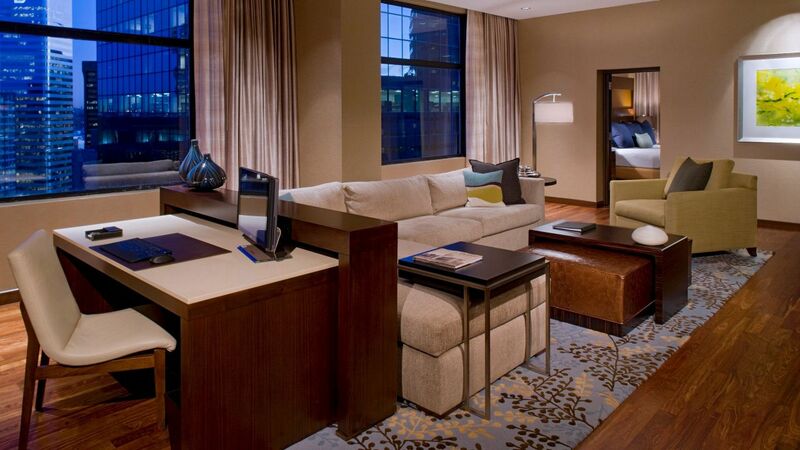 Executive suites feature 784-square-feet of living space with amenities to enhance your stay. 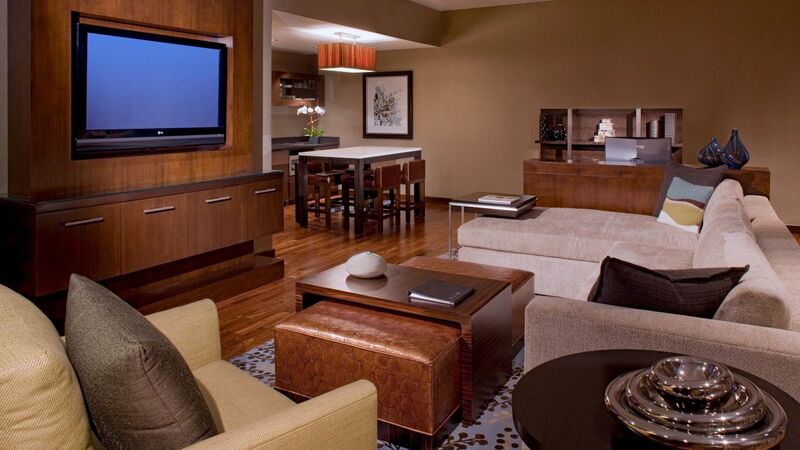 The open floor plan includes one king-sized Hyatt Grand Bed®. This is a standard suite. See World of Hyatt program terms for upgrade eligibility. 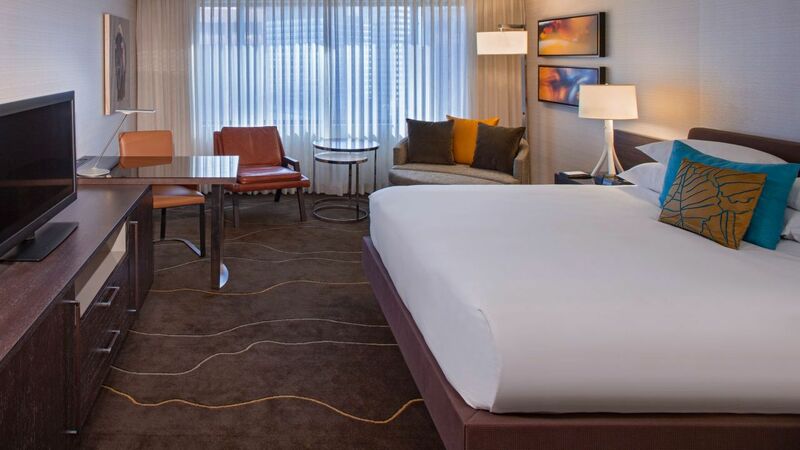 The ultimate Denver accommodation with 1,196-square-feet of residential-style space, adjoining a spacious bedroom with one king-sized Hyatt Grand Bed®. This is a premium suite. See World of Hyatt program terms for upgrade eligibility. Entertain in Grand style in these suites that feature 1,176-square-feet of space and an adjoining bedroom with a king or queen/queen Hyatt Grand Beds®. This is a premium suite. See World of Hyatt program terms for upgrade eligibility. Grand Club queen-bedded accommodation with access to a 1,100-square-foot Grand Club Lounge. Enjoy breakfast and in the evening, hors d’oeuvres and desserts. Grand Club king-bedded accommodation with access to a 1,100-square-foot Grand Club Lounge. Enjoy breakfast and in the evening, hors d’oeuvres and desserts. Enjoy this spacious 392-square-foot accommodation with a contemporary décor, two queen-sized Hyatt Grand Bed® and lots of extras. Enjoy this spacious 392-square-foot accommodation with a contemporary décor, one king-sized Hyatt Grand Bed® and lots of extras. Enjoy the stylish décor in this 392-square-foot accommodation that features one king-sized Hyatt Grand Bed® along with an ideal city overlook. Enjoy the stylish décor in this 392-square-foot accommodation with two queen-sized Hyatt Grand Beds® and an ideal overlook of the city. 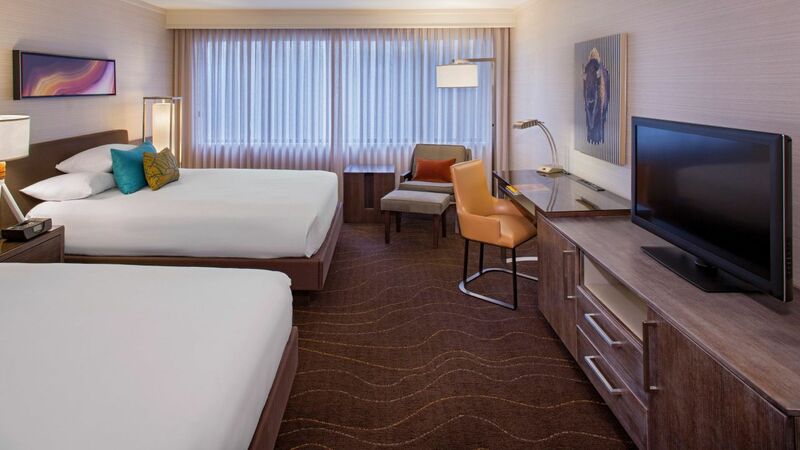 Enjoy the stylish décor in this spacious corner 412-square-foot accommodation that features one king-sized Hyatt Grand Bed® along with an ideal city overlook. This 392 square-foot Americans with Disabilities Act-compliant guestroom features one king size Hyatt Grand Bed, an accessible tub and these important features. Lowered closet shelves, thermostat, light switches, peepholes, door latch and more. The 392-square-foot Americans with Disability Act-compliant guestroom features one king-sized Hyatt Grand Bed®, an accessible shower and these important features. The 392-square-foot Americans with Disability Act-compliant guestroom features two queen-sized Hyatt Grand Beds®, an accessible shower and these important features.